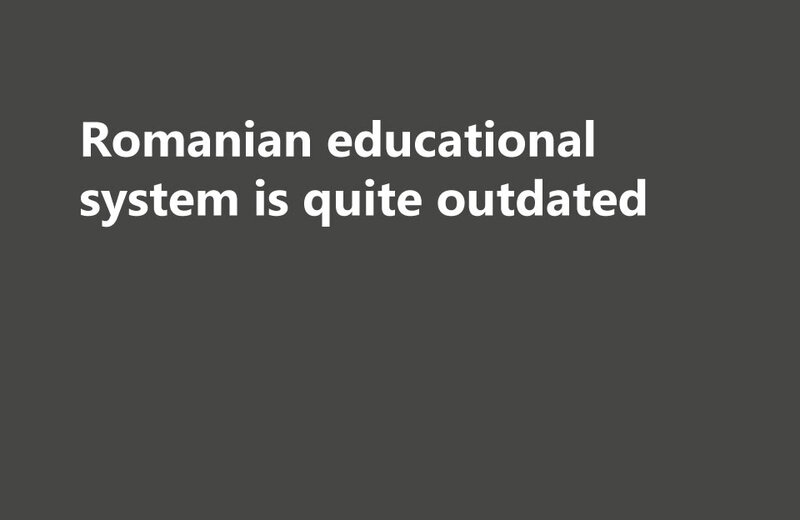 I think the Romanian educational system is quite outdated in relation to what is done in the West, and especially what is required in the market economy. Student development happens especially when a teacher finds sparkle, the vision of what diamond lies undiscovered in a student, and helps him to bring it to light. This leads to development.